The Center for Adaptive Systems of Brain-Body Interactions’ vision is to improve the function and quality of life of individuals with physical and psychosocial disabilities ranging from chronic pain and mobility impairments to addictive behaviors. CASBBI brings together experts in neuroscience, physics, engineering, computer science, psychology, and rehabilitation to research the interactions between the brain, body (including the sensory- motor and immune systems), behavior, and physical and social environment. 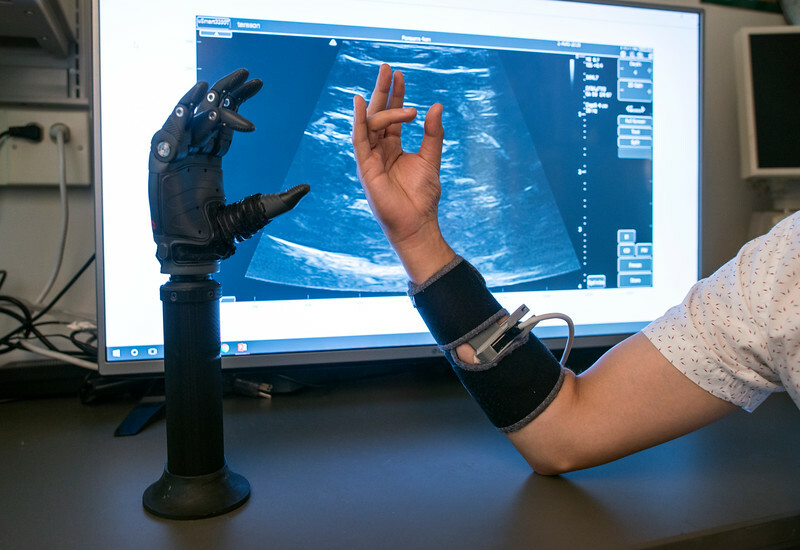 CASBBI researchers utilize technological approaches like novel multiscale imaging methods to understand how these intricately connected, dynamic systems are impaired in cases of disability and how function can be restored. The research is used to develop new devices and clinical interventions to maximize clinical benefit. CASBBI researchers engage in convergence research to address major public health and societal challenges. ■ Pioneering the use of imaging technologies such as ultrasound, elastography, and microdialysis, to objectively characterize relevant systems and the effects of interventions in chronic pain. ■ Identifying mechanisms of motor recovery following stroke, spinal cord injury, and amputation, and developing novel assistive technologies, including dexterous prosthetic control systems and novel lightweight exoskeletons. ■ Using functional magnetic resonance imaging and ecological momentary assessment to study emotion and reward-related brain function and environmental factors in the development and prevention of substance use in adolescence. ■ Investigating the use of technology such as wearable physiological sensors, smartphone applications, and advanced data analytics to empower communities of recovery around individuals with substance use disorder. ■ Evaluating the role of social robotics in providing interventions to children with autism spectrum disorder. ■ D. George et al., A frequency‐ domain non‐contact photo- acoustic microscope based on an adaptive interferometer. Journal of Biophotonics e201700278 (2018). ■ S. Sikdar et al., Quantification of Muscle Tissue Properties by Modeling the Statistics of Ultrasound Image Intensities… J Ultrasound Med. 37(9), 2157-2169 (2018). ■ C. C. Turpyn et al., Associations between parent emotional arousal and regulation and adolescents’ affective brain response. Social Development 27(1), 3-18 (2018).